My flight home left me with several days to waste after Finisterra. I returned to Santiago, spent a night in a hostel and had yet another look around.. I felt slightly out of place, my camino had finished so I was more of a tourist than a pilgrim.. I’d arranged to meet Sue the following morning as she was heading home. We had a couple of coffees and then I waved her off as she got onto a bus and disappeared into traffic. I walked to the station to find out train times to Porto. It turned out I could wait till tomorrow or get a train to Vigo for the night. That gave me an afternoon to look around Vigo and then a train to Porto the next morning.. I had my bag with me so bought a ticket and hopped onto a train. Vigo was pleasant enough.. it’s difficult to find fault with a place that has a statue of Jules Verne sat on an octopus.. Anyway, after a night in Vigo I got my train to Porto.. I had two days left so decided to have a look around, take a few photos and see if I could find a meal with at least 3000 calories.. here’s a few pics taken during my various wanders around. I couldn’t locate a Burger king so opted for something I’d heard alot about.. the famous Francesinha .. I gave one a go and loved every bite.. it appears to be a kilogramme or so of various meat covered in melted cheese with a beer-based gravy over the top.. served with French fries and an egg… I finished my francesinha and waddled happily back to my hostel. Today is my last full day here.. I fly back tomorrow morning and so I plan to have another quick look around.. and obviously have another francesinha before I leave.. I swapped hostels to give me a different hunting ground for tonight’s meal and while I waited for this one to open I thought I’d have a stab at writing a bit more of the tale of St James.. It may be worth mentioning that for the last few days I have been using booking.com to arrange hostels and it’s worked well for me.. it turns out that I have a code to share that gets anyone who uses it 10% off their booking.. here’s a link just incase you ever want to give it a try.. I have no idea if I’ve added the link correctly but it should work.. feel free to let me know if it doesn’t. 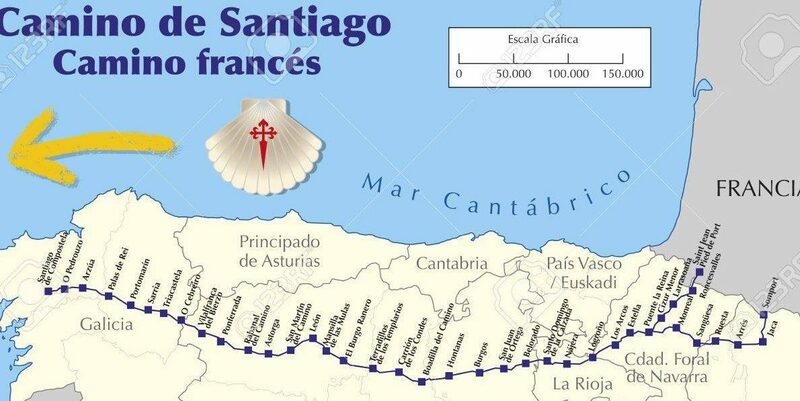 Right, time to finish off the tale of St James (I’ll add it to a separate post on my blog)… Only an hour or so to wait and then it’s francesinha time !! A francesinha sounds delightful – heart attack waiting to happen but what the heck…you only live once! Enjoy!